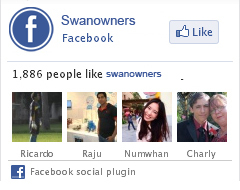 The Swan Owners Association of America is the largest group of Swan Owners in the World. If you own a Swan yacht or are interested in learning more about them, please browse our information. Owners can also join the Owner's Forum to exchange ideas and keep up to date on the most current ideas, trends, events and more. Copyright © 2019 swanowners.com. All Rights Reserved.